Full members - Researchers who are actively engaged in research aligned with the Centre's Research Pathways and who meet the criteria in section 3.1 of the Membership Policy. Associate members - Researchers and research support personnel engaged in research aligned with the Centre's Research Pathways who do not meet the criteria in section 3.1 but meet the criteria in section 3.2 of the Membership Policy. Student members - HDR candidates enrolled at CSU who meet the criteria in section 3.3 of the Membership Policy. Affiliates - Individuals who do not meet the criteria for full, associate or student membership but meet the criteria in section 3.4 of the Membership Policy and wish to maintain a relationship with the Centre for an appropriate purpose. Examples might include retired researchers, consultants and others from the industry who have an active interest in the Centre's activities. NB: Personnel visiting the Centre under CSU's Visiting Appointments Policy are automatically granted affiliate status for the duration of their appointment. 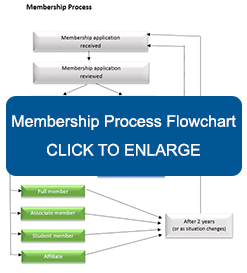 Read the Membership Policy to check your eligibility and ensure you are familiar with the application and review process and the conditions of membership. Include any relevant supporting documentation with your application. The membership policy is designed to encourage new staff to aim for membership within as short a timeframe as possible. 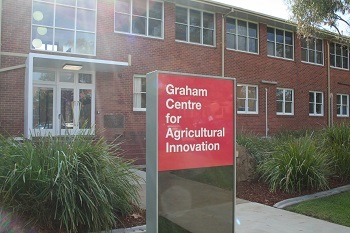 Whilst not having a record of publications with Graham Centre affiliation or external research income with CSU or DPI does preclude individuals from meeting the requirements of full or associate membership in the short term, we encourage those people to apply for affiliate status (citing previous history, future intentions in your role at CSU/DPI, clear links to the Centre’s research priorities and so on). As soon as you can demonstrate meeting criteria, you should apply for associate or full membership status. For DPI researchers, affiliate status alone won’t allow you to register your publications in the CSU Research Outputs Collection, so you will also need to apply for Adjunct status with CSU through the Centre. Below is a link to information about the Adjunct appointments policy at CSU. If you wish to apply for adjunct status, please contact grahamcentre@csu.edu.au.